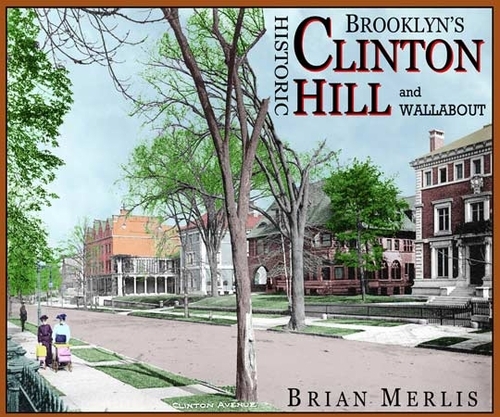 • This 224-page solo effort by Merlis explores the story of Clinton Hill and Wallabout -- contiguous neighborhoods with interesting, yet contrasting, pasts. In this hard covered edition. Merlis has selected over 300 of his best photographs, and with maps and other historical materials, has created this accurate, attractive, and informative survey. Clinton Hill's growth from farmland to suburban retreat, to robber-baron enclave is explored. Wallabout is discussed from its 1624 settlement through the establishment of the Navy Yard, Wallabout Market, and creation of adjacent industry, Merlis's twentieth book will please the most critical Brooklynite. • Profusely illustrated with HUNDREDS of maps, illustrations, and vintage photographs, Brian Merlis, author of Brooklyn's Historic Clinton Hill and Wallabout (2011) take readers on another unforgettable journey back in time. A MUST for any collector.